Dozens and dozens of newspaper clippings, modifying this sentence in various ways, pour down upon the astonished master. They are all from different statements, in different places, to different newspapers and different journalists. And they all come from one and the same man. A Russian filmmaker who had just landed upon the North American continent. However, the same news had already preceded him from England. There, for the first time and on the very first day of his arrival on British soil, he had rushed off to see the works of the man upon whom he had showered such passionate praise in all his interviews. Thus, long before their meeting in person, friendly relations had been established between praiser and praised. Between a Russian and an American. In short, between Disney and myself. When we met each other in person, we met like old acquaintances. And all the more so since he also knew our pictures. Young and with a small moustache. Very elegant. The elegance of a dancer, I’d say. There’s undeniably something of his own hero in him. Mickey has the same grace, ease of gesture and elegance. Not at all surprising! As later becomes clear, his method is as follows: Disney himself acts out the part or role of Mickey for this or that film. A dozen or so artists stand around him in a circle, quickly capturing the hilarious expressions of their posing and performing boss. And the extremely lively and lifelike preparations for the cartoon are ready—infectious through the whole hyperbolization of the drawing only because it was taken from a living person. No less alive are the Wolf, the Bear, the Hound (the coarse partner of the refined Mickey); again not accidentally full of life, he comes from Walt’s first cousin who, in contrast to him, is chubby, coarse and clumsy. We tour his tiny studio, far, far away in those days from the centre of Hollywood vanity and life. We are amazed by the modesty of his equipment, considering the colossal scale of productivity. 52 ‘Mickeys’ a year, 1 plus twelve Silly Symphonies, including the unsurpassed The Skeleton Dance, 2 with the skeletons who play on their own ribs as xylophones! We are surprised by the harmony of the collective. I am sometimes frightened when I watch his films. Frightened because of some absolute perfection in what he does. By the harmony of technique. And especially by the fact that the soundtrack is made in New York, where they send the most precisely marked rolls of the drawings’ movements, shot to the most precise music score. Not in the slightest resulting in Impressionism. Disney’s plastic visions, echoing the sounds, are captured a priori. Placed in a vise of the strictest plastic and temporal calculation. Made real. Coordinated by the dozens of hands of his collective. Shot on irreproachable rolls carrying charm, laughter and amazement at his virtuosity around the entire world. What purity and clarity of soul is needed to make such a thing! To what depths of untouched nature is it necessary to dive with bubbles and bubble-like children in order to reach such absolute freedom from all categories, all conventions. In order to be like children. Chaplin, too, is infantile. But his is a constant, agonized and, somewhere at its core, an always tragic lament over the lost golden age of childhood. The epos of Chaplin is the ‘Paradise Lost’ of today. The epos of Disney is ‘Paradise Regained’. Precisely Paradise. Unreachable on Earth. Created only by a drawing. It is not the absurdity of childish conceptions of an eccentric clashing with adult reality. The humour of the incompatibility of one with the other. And the sadness over man’s forever-lost childhood, and mankind’s Golden Age, lost irretrievably to those who want to bring it back from the past, instead of creating it in a better Socialist future. 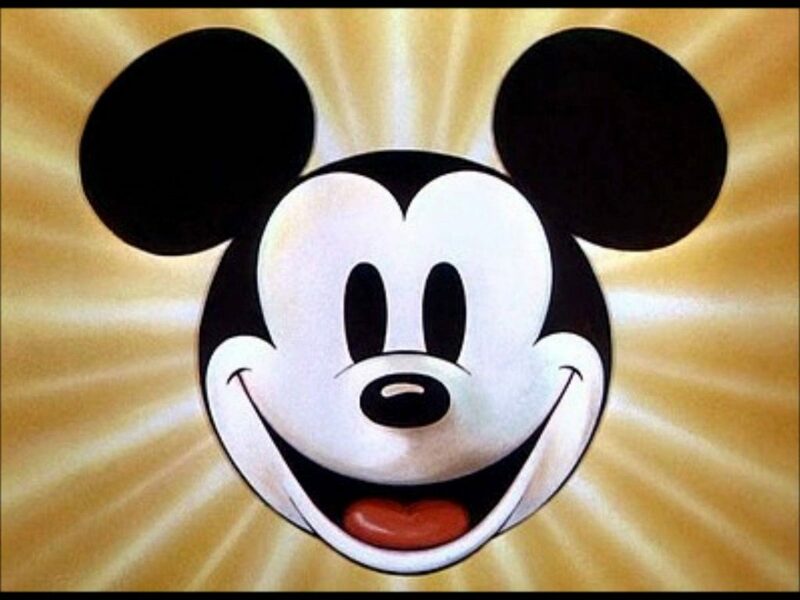 Disney (and it is no accident that his films are drawn) is a complete return to a world of complete freedom (not accidentally fictitious), freed from the necessity of another primal extinction. As an unforgettable symbol of his whole creative work, there stands before me a family of octopuses on four legs, with a fifth serving as a tail, and a sixth—a trunk. How much (imaginary) divine omnipotence there is in this! What magic of reconstructing the world according to one’s fantasy and will! A fictitious world. A world of lines and colours which subjugates and alters itself to your command. You tell a mountain: move, and it moves. You tell an octopus: be an elephant, and the octopus becomes an elephant. You ask the sun to stop, and it stops. Disney is a marvellous lullaby for the suffering and unfortunate, the oppressed and deprived. You are able to see how the image of the hero who stopped the sun arose among those who were powerless to even take cover from it, and whose whole way of life was at the mercy of the sun. And you see how the drawn magic of a reconstructed world had to arise at the very summit of a society that had completely enslaved nature—namely, in America. Where, at the same time, man has become more merciless than in the Stone Age, more doomed than in prehistoric times, more enslaved than during the slaveowning era. Disney is a marvellous lullaby for the suffering and unfortunate, the oppressed and deprived. For those who are shackled by hours of work and regulated moments of rest, by a mathematical precision of time, whose lives are graphed by the cent and dollar. Whose lives are divided up into little squares, like a chess board, with the sole difference that whether you’re a knight or a rook, a queen or a bishop—on this board, you can only lose. And also because its black squares do not alternate with white ones, but are all of a protective grey colour, day after day. Grey, grey, grey. From birth to death. Grey squares of city blocks. Grey prison cells of city streets. Grey faces of endless street crowds. The grey, empty eyes of those who are forever at the mercy of a pitiless procession of laws, not of their own making, laws that divide up the soul, feelings, thoughts, just as the carcasses of pigs are dismembered by the conveyor belts of Chicago slaughterhouses, and the separate pieces of cars are assembled into mechanical organisms by Ford’s conveyor belts. That is why Disney’s films blaze with colour. Like the patterns in the clothes of people who have been deprived of the colours in nature. That is why the imagination in them is limitless, for Disney’s films are a revolt against partitioning and legislating, against spiritual stagnation and greyness. But the revolt is lyrical. The revolt is a daydream. Fruitless and lacking consequences. These are not those daydreams which, accumulating, give birth to action and raise a hand to realize the dream. They are the golden dreams you escape to, like other worlds where everything is different, where you are free from all fetters, where you can clown around just as nature itself seemed to have done in the joyful ages of its coming into being, when she herself invented curiosities worthy of Disney: the ridiculous ostrich next to the logical hen, the absurd giraffe next to the loyal cat, the kangaroo mocking the future Madonna! With that triumphant joy, the millions of hearts join in this chorus, who every moment are afraid of the big grey wolf. The ‘grey wolf ’ in America is behind every corner, behind every counter, on the heels of every person. One moment, he blows away to the auction block which is the home and property of a farmer ruined by the financial crisis, another moment, he blows out of his comfortable house a man who has worked many years for Ford, but who could not make his last payment. Frightening, frightening is the ‘grey wolf ’ of unemployment: millions and millions of people are gobbled up by its voracious appetite. But ‘we’re not afraid of the big, grey wolf ’ flies carefree from the screen. This cry of optimism could only be drawn. For there is no such slant on truthfully shot capitalist reality which, without lying, could possibly sound like optimistic reassurance, but, fortunately, there are lines and colours. Music and cartoons. The talent of Disney and the ‘great consoler’—the cinema. There exists a touching legend from the Middle Ages about ‘The Juggler of the Holy Mother’. A pilgrimage was made to bring gifts to the Madonna. He alone had nothing to take her. And so he spread out his mat before her statue and honoured her with his art. This did not please the fat monks and greedy priest: they preferred fat and candles, silver coins and wine. But, even so, the legend of the juggler was preserved with reverence, even by them. This is how Americans, once they start to undertake the realization of the Golden Age of the future, will recall with warmth and gratitude the man who cheered them up with golden dreams during their period of oppression. Who, for an instant, allowed them to forget, to not feel the chilling horror before the grey wolf who, while you were at the movies, pitilessly turned off your gas and water for non-payment. Who gave a feeling of warmth and closeness with grasshoppers and birds, beasts and flowers to those whose dungeons of the streets of New York were always cut off from everything happy and alive. Among the strange characteristics of the tribes who populate this continent, North America, is the one by which its inhabitants choose specific stars for themselves and live their lives in worship of them. These are not stars of heaven, but of the movies, but that does not change matters. It even provides a way of strengthening the financial resources of the Postal Service through an unending flood of letters addressed to beloved stars. But the point is not in the act of writing itself. The point is the addressee. The letter begins with the greeting: ‘Dear Mickey Mouse’. The huge, all-embracing, international popularity among all ages which is possessed by this small, drawn hero of the great artist and master, Walt Disney, who exceeds in popularity that other American by the name of Walt—Walt Whitman. First of all, one could say that Disney’s works seem to contain all the faultlessly active features by which a work of art influences—seemingly in the greatest possible quantity and the greatest possible purity. In terms of the faultlessness of its influence, Disney’s work statistically scores the greatest possible number of points, considering the viewers won over by it. And our supposition, therefore, is entirely legitimate. We shall try to enumerate the peculiarities and characteristic, features which distinguish Disney’s work. And we shall try to generalize these features. They shall prove to be decisive features in any art form, but only in Disney, presented in their very purest form. This excerpt is reprinted with permission of Seagull Books & University of Chicago Press.